I have highball glasses, but I never think to use them. Nonetheless, the Anejo Highball tastes just as great in a lowball glass, which is easier to deal with. This is a recipe that appeared in the Washington Post and comes from Brad Thomas Parsons' Bitters: A Spirited History of a Classic Cure-All, with Cocktails, Recipes, and Formulas. 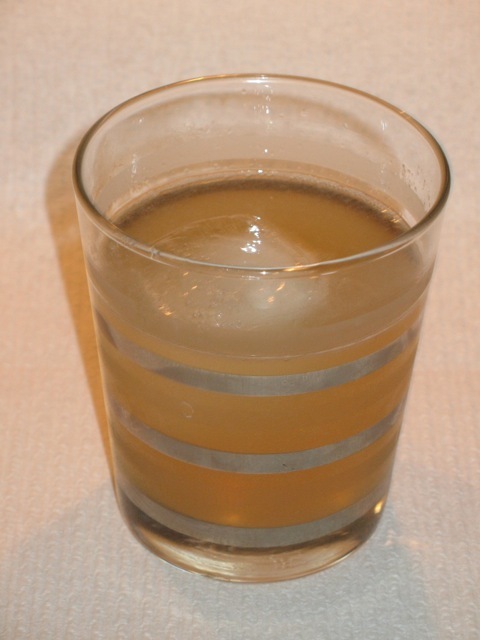 Combine rum, Cointreau, lime juice and bitters in a glass over ice. Top with ginger beer. Hmmm. I don't think I remember you making this. Did I like it? I'm guessing I did.